Discover how to defend your traffic ticket now. Call us now to receive your Free professional case review at (716) 364-2569. Seal Your Criminal Conviction In New York State. 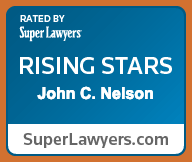 John C. Nelson has been rated by Super Lawyers® as a Rising Star for his work on traffic defense, DUI defense and criminal defense. He has received a “Superb” 10.0 out of 10.0 rating by Avvo.com, and was recognized with the National College for DUI Defense. In 2015, he was rated by Avvo as a Clients’ Choice for DUI. He has is also a former town justice in Ellicottville, NY. Having an experienced DWI Attorney for your criminal defense case is essential for best results. A blood alcohol level of 0.08% or higher for adults or 0.02% for those under 21 can result in a DWI conviction. If convicted of a NY DWI, you may have your license revoked or suspended, face high fines and in some circumstances jail or prison time. A conviction remains on your driver’s record and can restrict your freedom to drive in New York State or to Canada for up to ten years. A DWI conviction will jeopardize your freedom to drive and may even result in jail time. DWI is generally a misdemeanor, however, a second or third offense or a DWI with a child under 15 in the vehicle may be prosecuted as a felony charge, bringing you even more severe consequences and up to thousands of dollars in fines. You may be restricted to a conditional driver’s license and/or subject to substance abuse treatment. There is no time to waste if you charged with DWI. 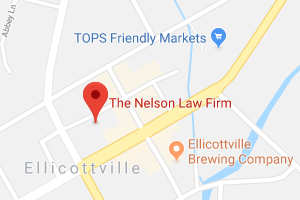 Contact The Nelson Law Firm, in Ellicottville NY, for an immediate consultation about your case. He is always available to clients and willing to go the extra mile to get a win for them. There’s no need to wait in line, go to court, or attend traffic school. We can help you take care of everything quickly and easily. 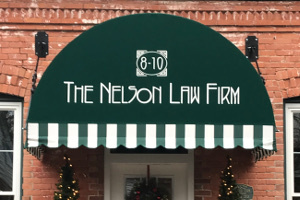 The Nelson Law Firm is a personalized criminal law firm designed to maximize client results. John is not afraid to take cases to verdict and will work tirelessly on your behalf to defend your rights. Contact our office now to speak to an Ellicottville NY Traffic Lawyer. Handled my case with the utmost professionalism. Provided excellent communication throughout the process. Most importantly – we got the results that I needed! Fantastic lawyer! He met me late at his office and did a great job. John is a very reasonable lawyer and very trustworthy. Highly recommended! John Nelson has worked very diligently for me. I highly recommend John for his honesty, integrity, professionalism, and strong work ethic. Impressed with John’s approach, integrity and of course, his ability to negotiate and litigate. I would highly recommend John for anyone in need of a powerful yet honest legal advocate. Attacking their procedure comes in many forms. The prosecution must follow New York Laws, including the Criminal Procedure Law (CPL). When the prosecution doesn’t follow the Criminal Procedure Law, the evidence can be suppressed or limited, which sometimes leads to dismissals or reductions in the charges. We attack their procedure under the United States and New York Constitutions. The most common procedures the people must follow (and protections given to you) are under the 4th, 5th, 6th, 8th and 14th Amendments of the US Constitution. These are the rights you most commonly hear about: right from unreasonable searches, right to an attorney, Miranda, etc. When the police violate one of these charges, it can lead to dismissal or reduction of the charges or evidence to be excluded. We then discredit their evidence. We file discovery motions and obtain their evidence. Many times the prosecution’s witnesses will give incomplete or missing statements. We take all of the witnesses statements, police reports and any other evidence and enter all of the information into our cross reference system. We expose all inconsistencies in blood results, breath tests, statements and reports. By closely examining their evidence, we expose their weaknesses, leading to more favorable outcomes. Often, we employ a private investigator to investigate leads, crime scenes and police records. Some of our best victories were achieved when our investigator discredited the prosecution’s witnesses. Through subpoenas, Orders to Show Cause and FOIL (Freedom of Information Law) Requests, we can gather our own evidence to gather the evidence that’s favorable to you. The police aren’t required to defend you or build your case. They have one goal, to build their case. We implement our own procedure to build your case. We present our own evidence in a few different ways. 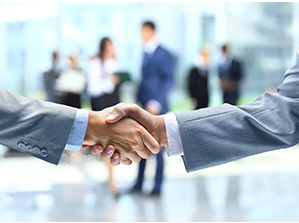 After we have followed the first steps, we then use the evidence to fight your case during negotiations or trial to reach the best resolution. In reality, we present you first, not last. You are the most important part of steps one-four. You are crucial to each part because often you personally know of the police’s illegal procedures or shaky evidence. But, this case is about you. The police have charged with you with a crime and labeled you as a criminal. That’s not you; that’s not your identity. You are much more than that. We paint the true picture of you. Maybe you are taking care of four children and still working forty hours a week. I highly doubt the police report will reflect that. The court and the people must know that about you. Like us, they are imperfect people, working in an imperfect system.